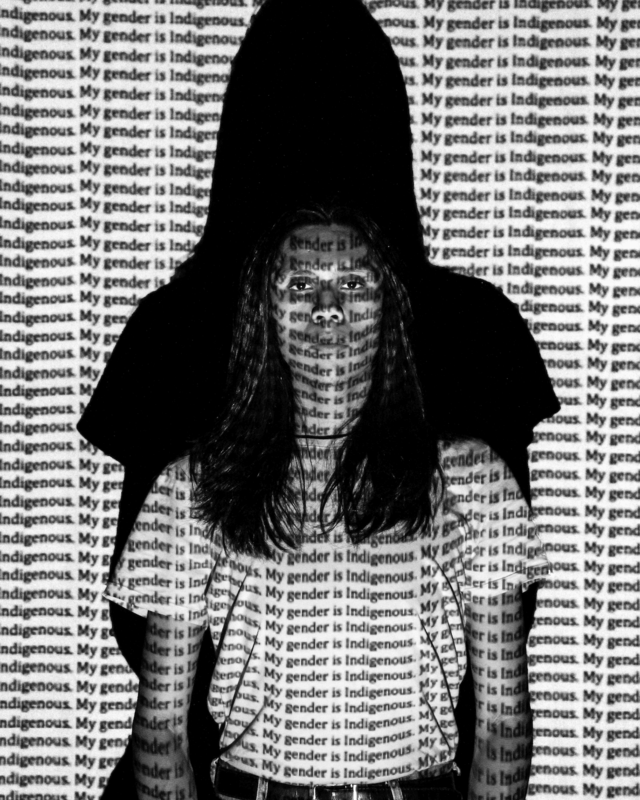 Ryan Young, My Gender is Indigenous, 2018, digital photograph, inkjet on photo paper, 24 x 20 in. This combination produces works that present each artist’s unique voice while highlighting some shared concerns. 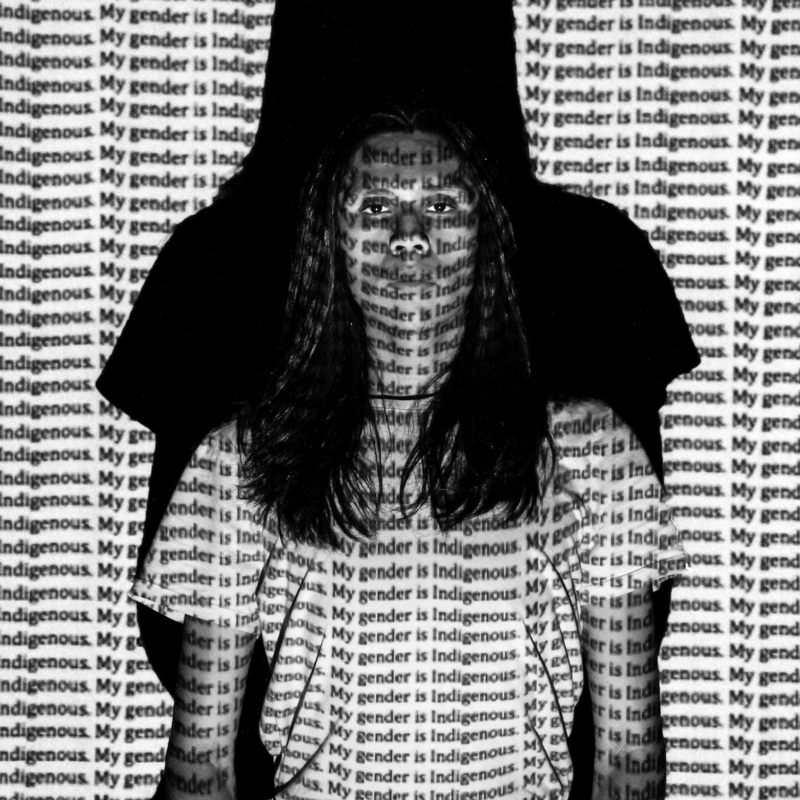 A large group of works by Ryan Young (Ojibwe), Robyn Tsinnajinnie (Navajo), Alexandra Rose Weaver, Tiffany T. Adams (Chemehuevi Indian Tribe), Tess Atcitty (Navajo), and LaShawn Medicine Horn (Yankton Sioux Tribe)—addresses issues of identity, as a woman, a Two Spirit, and African-American, and Western Shoshone. Other artists, such as Hounsoun Youn, Alexander Y. Mauricio and Anangookwe Wolf (Lac Courte Oreilles Ojibwe), explore personal memories and commemorate family members in their art, while photographers Emily Peck and LeRoy Grafe focus on urban themes such as architecture and survival in a white-dominated sport. Several artists in the show examine the significance of animals in culture, for example, Chaz John’s (Winnebago Tribe of Nebraska/Mississippi Band Choctaw) Rez Dog Series or Lorenza Elena Chavez Marcais (Chicanx/Mescalero Apache descent) Jaguar painting reflecting on rites of passage. Others experiment with materials, color, and form to reference nature or female resiliency such as the works by Eve Picher and Tina Sparks.